Leather can keep its look and patina for years if it's cared for properly, so make sure to follow our tips to keep your product looking it’s best. To celebrate the launch of our brand new Australian-made Stitch & Hide leather conditioner, we are giving you a FREE jar! PLACE YOUR WHOLESALE ORDER (MIN. 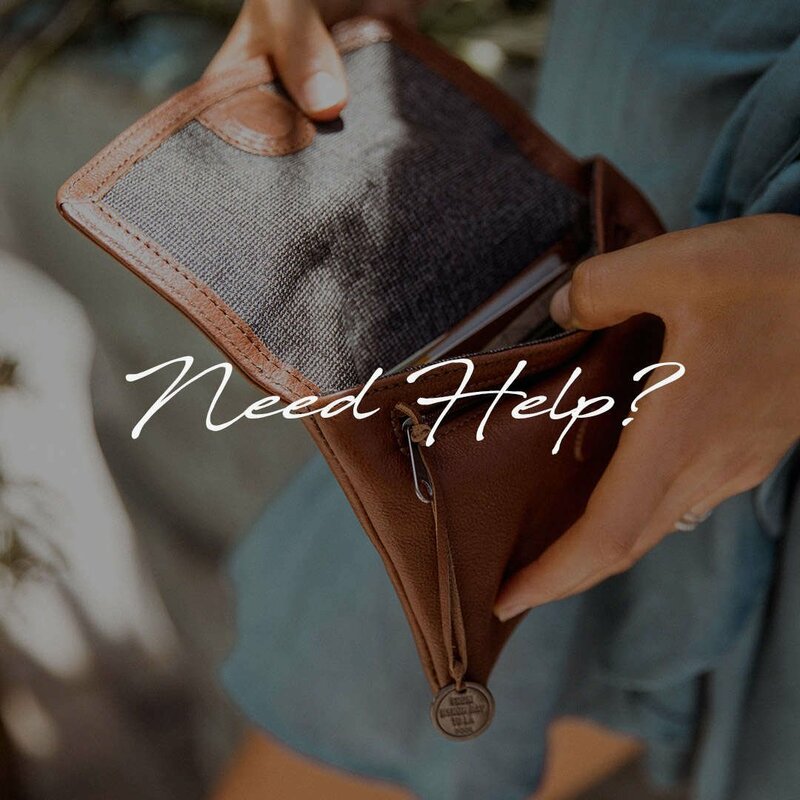 $500.00) BETWEEN 26/3/19 - 2/4/19 TO RECEIVE YOUR FREE JAR OF LEATHER CONDITIONER. This makes a great add-on sale to compliment our leather goods at store level. 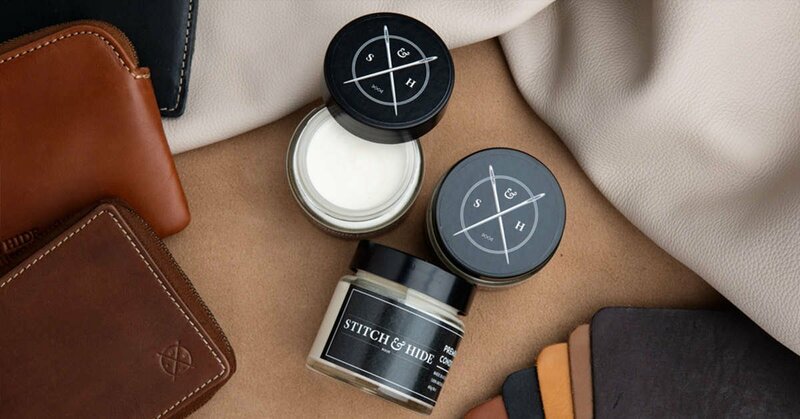 Terms: To receive a free jar of Stitch & Hide leather conditioner, order must be placed and received between 26/3/19 and 2/4/19. Min. $500 order to warrant free gift. 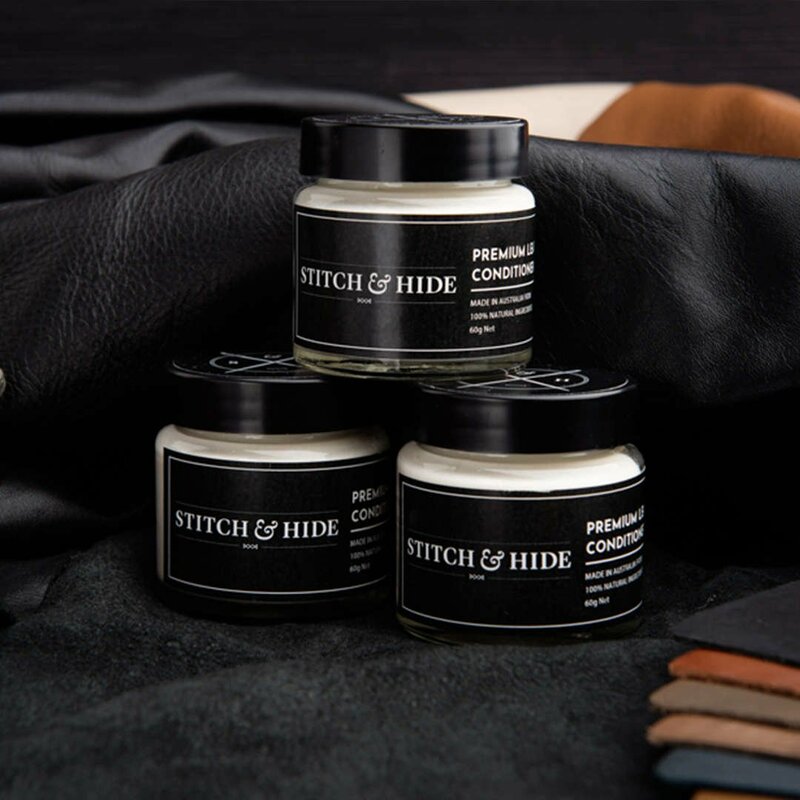 The Stitch & Hide, Australian-made, leather conditioner is formulated to nourish, preserve and protect your leather products. Made from 100% natural ingredients this can be used to spot clean scratches, marks and stains or to the entire leather product to protect it from daily use. Read instructions for our online ordering portal.